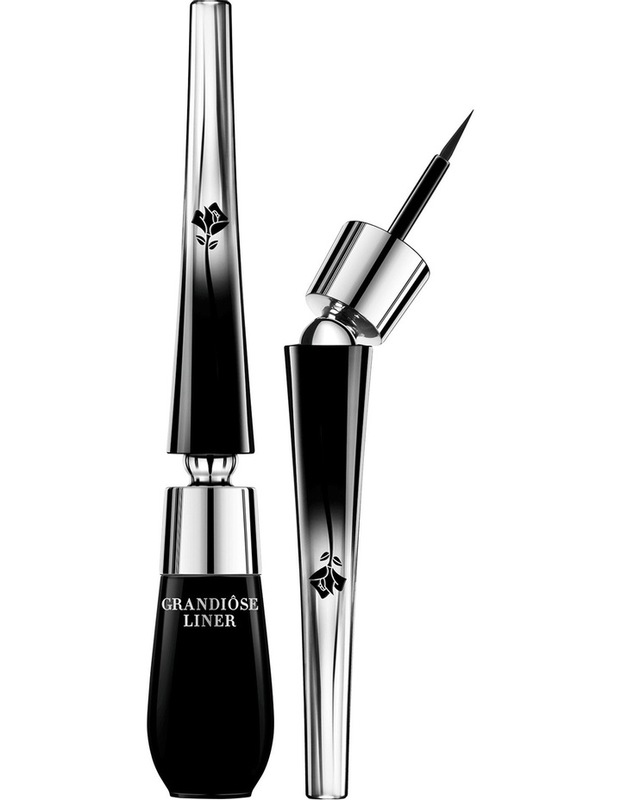 Master the line with Grandise Liner Matte Black by Lancme, a thin tip for an incredible precise eyeline from the most simple look to the wildest. With the intuitive liquid eyeliner inspired by Makeup-artists secret, giving access to the closest base of the lashes from inner corner to outer wing. With Lancme;s innovative pivot eyeliner and its patented 35 bendable wand, giving effortless access to both eyes while adapting to your unique eye shape. Master the line with the ultra thin tip for an incredible precise eyeline from the most simple look to the wildest. Discover the three long wear intensely pigmented smudge proof matte shades Noir, Brun & Sapphire, which last all day long.